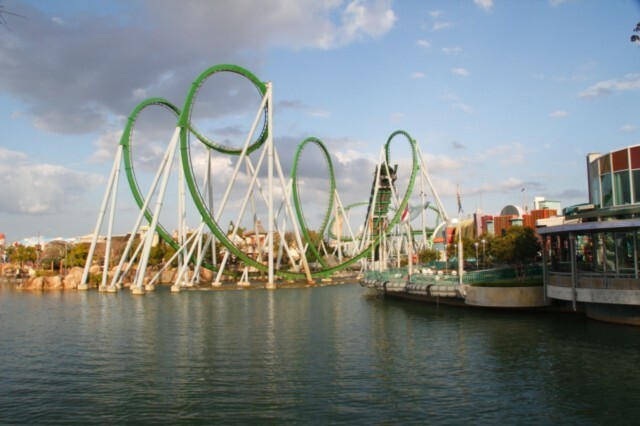 Islands of Adventure at Universal, Orlando is in my view the best park in Florida. 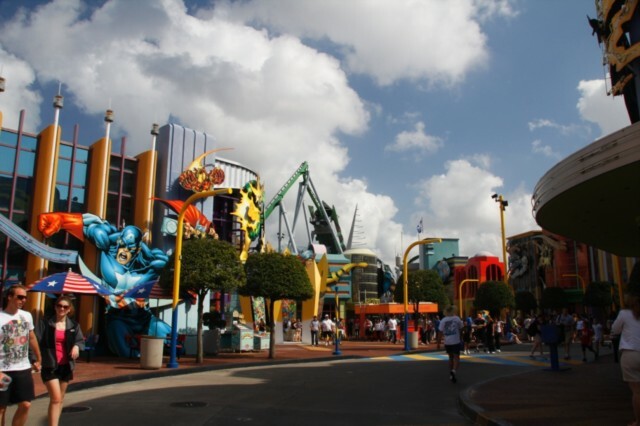 It was built in 1999 right next door to Universal Studios to cater for the slightly older guests who like a little more thrill rides as well as keeping the younger ones entertained. 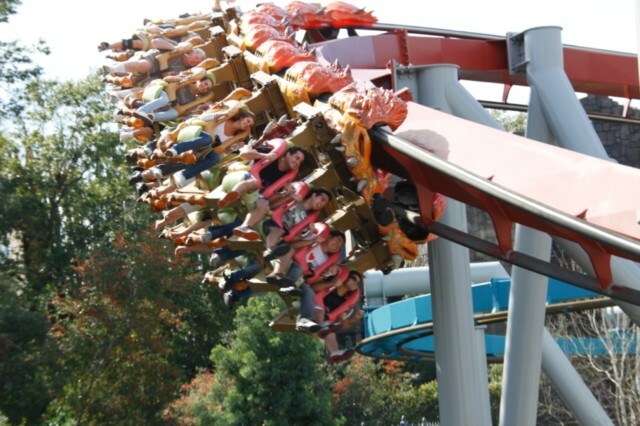 If you are after an action packed day out this park will not disappoint. 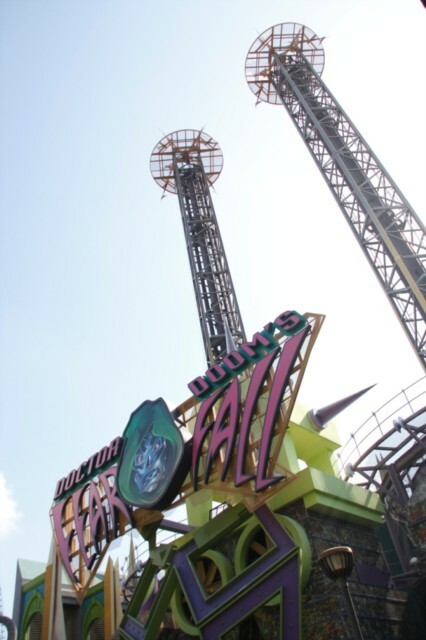 For the older people rides like Dragons Challenge, Incredible Hulk, Doctor Dooms fearfall, Amazing adventures of Spiderman and the new Harry Potter Land await. 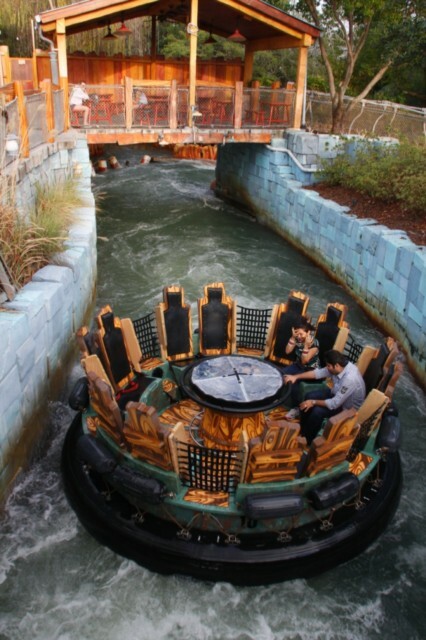 For the younger members of the family you have Toon Lagoon, Popeye and Blutos Bilge Barges & Jurrasic Park to name a few. What is really impressive about Islands of Adventure is the fact that everything is themed, right down to the trash areas. Nothing in the park is left looking boring and it is this attention to detail that stands this park out with many others in Florida. When you walk in the large impressive lighthouse gives you the feeling you are entering a different World. 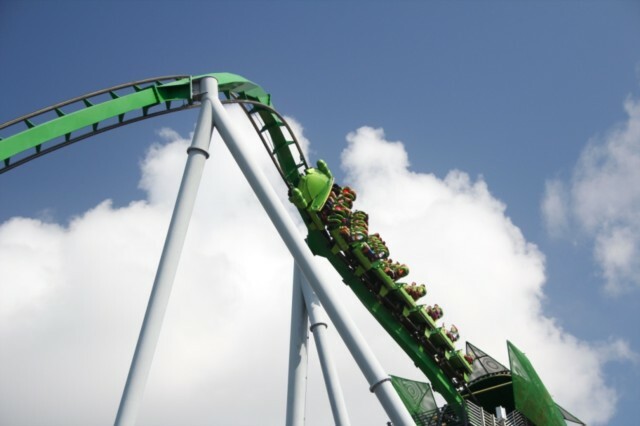 Onto the rides and here you will find 4 of Florida’s top 10 rides (Hulk, Spiderman, Dragons Challenge & the new edition of Harry Potter). Each one has the usual fast pass option to allow entry onto the ride a lot quicker during peak periods. This is well worth using should you want to go on them when it is busy. 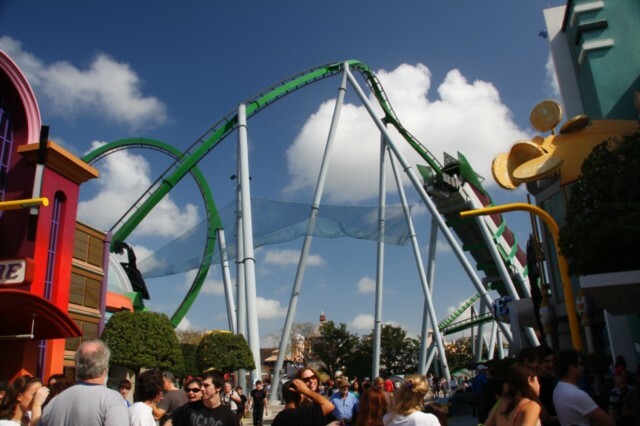 One of the first rides you will see when you enter the park is the Incredible Hulk. Well you normally actually hear the ride and everyone screaming well before you get to see it! The ride itself has a big twist and rather than take you up nice and slowly actually slings you up the ramp at 65mph into an inverted roll. The rest of the ride is full of loops, spins, banked turns and almost everything you would expect in a World beating ride. As this ride is right by the main entrance it is best avoided early in the morning. 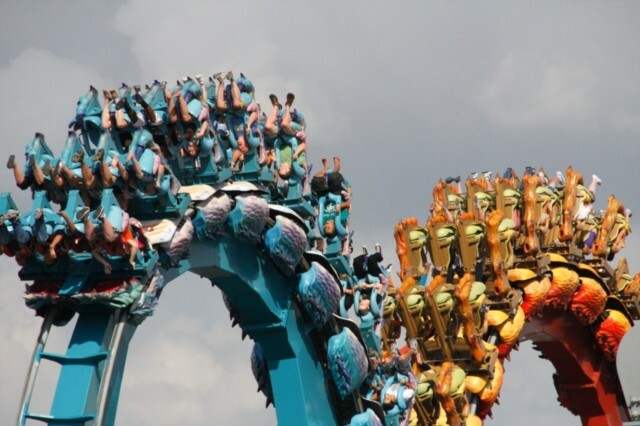 Dragons Challenge is the other main coaster. Designed as 2 separate rides (blue and red) each one gives a totally different experience so is in effect 2 coasters in one location. 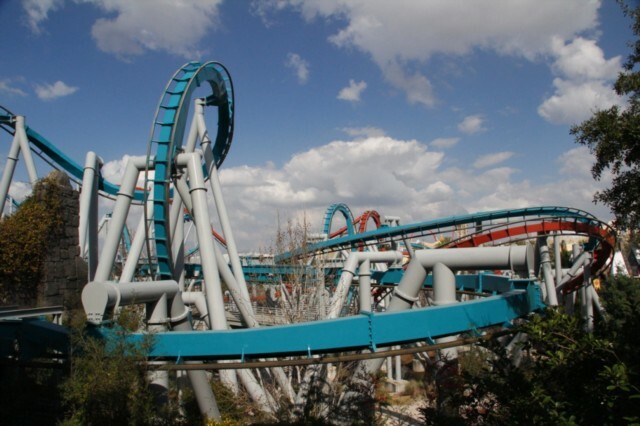 Red tends to be faster than the Blue, but Blue pulls higher G-force and goes though more inversions. Both cars hang from the track (similar to Montu at Busch Gardens) giving the feeling of dangling below the ride. 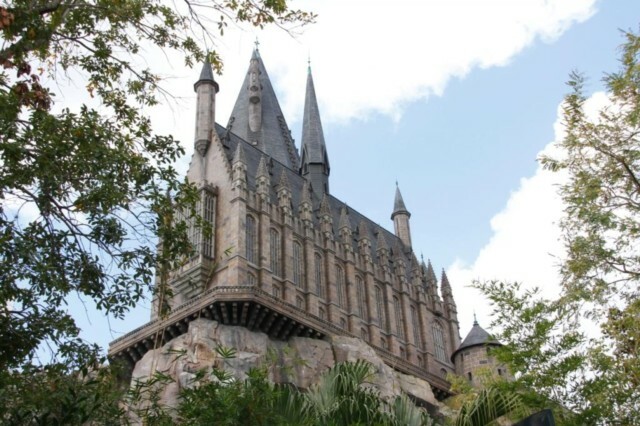 Both are located in the New Harry Potter Land and tend to have shorter queues due to the popularity of the Harry Potter ride itself. 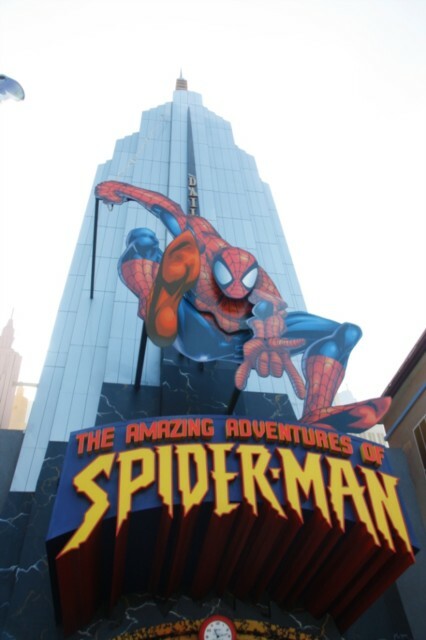 My favourite simulator ride has to be the Amazing Adventures of Spiderman. This is a 4-D ride that uses a car to take you through different areas of the city. Along the way you bump into Spiderman’s old enemies (Dr Octopus & Green Goblin) and try to save the city from their evil grip. To say this ride is intense would be an understatement. Coming off it you are grinning from ear to ear and think you have been 10 rounds with Mike Tyson! Almost every sense in your body is tested during the ride and some of the scenes are top draw, you even feel like you are actually falling 50 stories without even moving an inch! As yet I have not been on Harry Potter, but from what I have heard the ride itself is fantastic and worth the wait to get in. 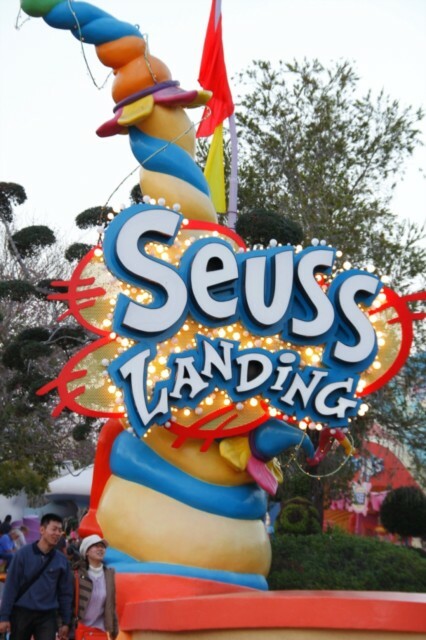 Due to the huge popularity of this ride it is worth getting there as early as possible to try and beat the queues. Normally heading straight over as soon as the park opens is the best way. Universal have not held back in the whole package of this ride and even some of the smallest details in the castle have been really well put together. Hopefully o my next visit I should be able to review this one. 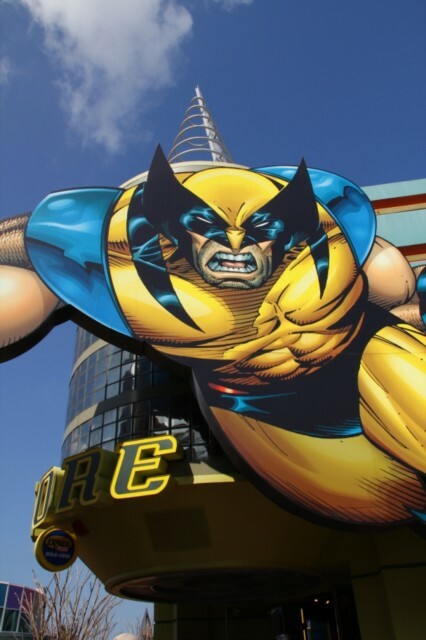 Most people buy the Universal 2 day pass which allows them into Universal and Islands of Adventure, this is better value for money and will save your hard earned wages. If you go out of season sometimes they do a buy 2 get 1 free day, making it even better value. 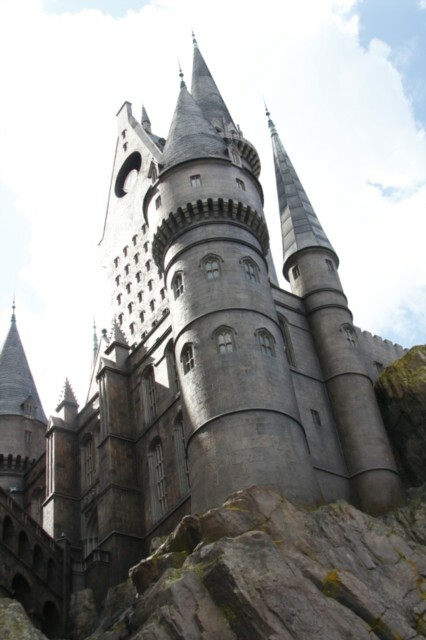 Either way you won’t be disappointed when you visit and it is definitely a must visit park along with Disney when you visit Orlando.